For some years now it's been clear that Android is a force to be reckoned with in the mobile OS landscape. This Java-based technology has sparked a new gold rush, with programmers competing to make money from their mobile apps. 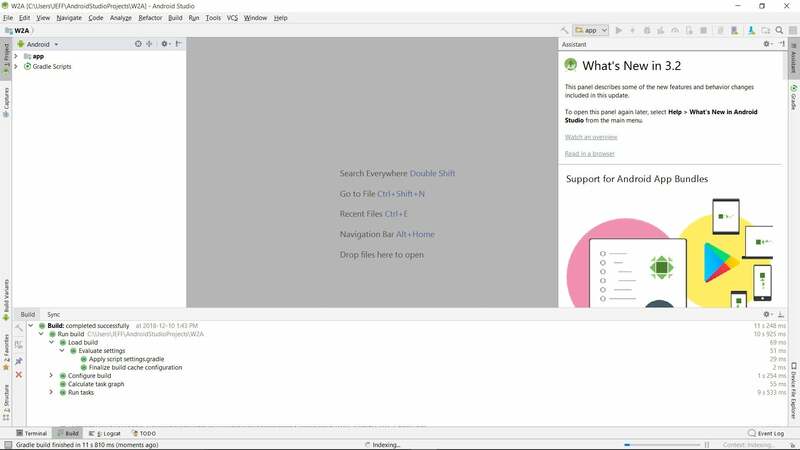 Android jobs are also plentiful, as shown by a quick job search using Indeed.com. To be successful, Android developers need a good grasp of the Java language (or Kotlin), Android APIs, and Android application architecture. It's also important to use an appropriate and effective development environment. For many years, Eclipse IDE with the ADT plugin was the preferred platform for Android development. 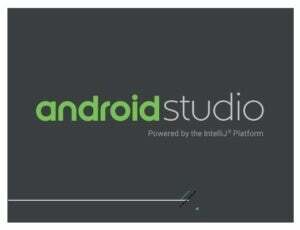 Today, it's Android Studio. 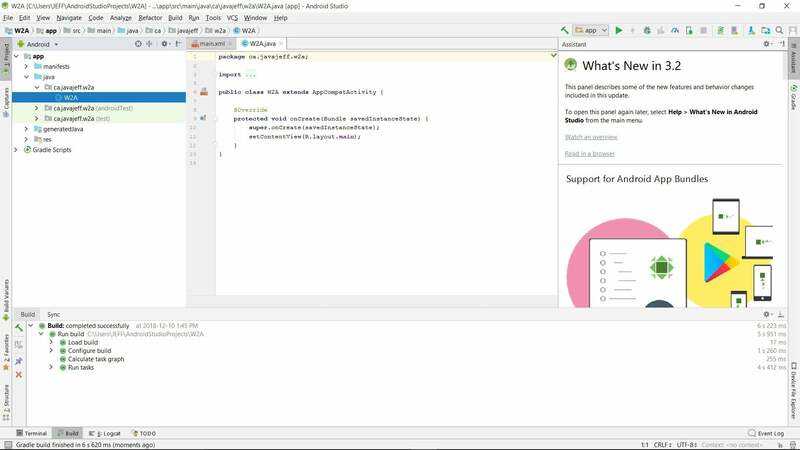 Find out what to look for in the latest version of Android Studio, including support for Kotlin, Java 8, and a wealth of new tools and plugins. 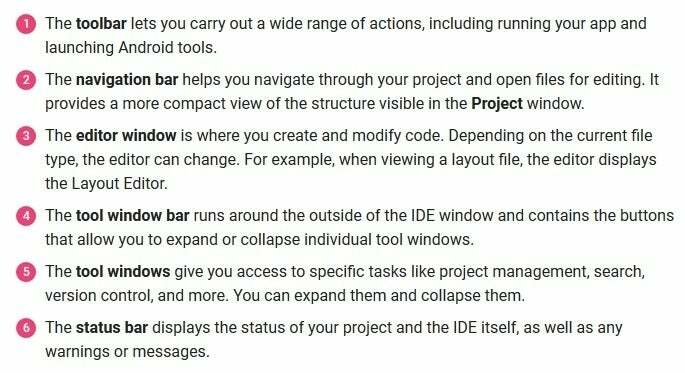 In Part 1, you'll start up your first Android project and get to know Android Studio's main window. 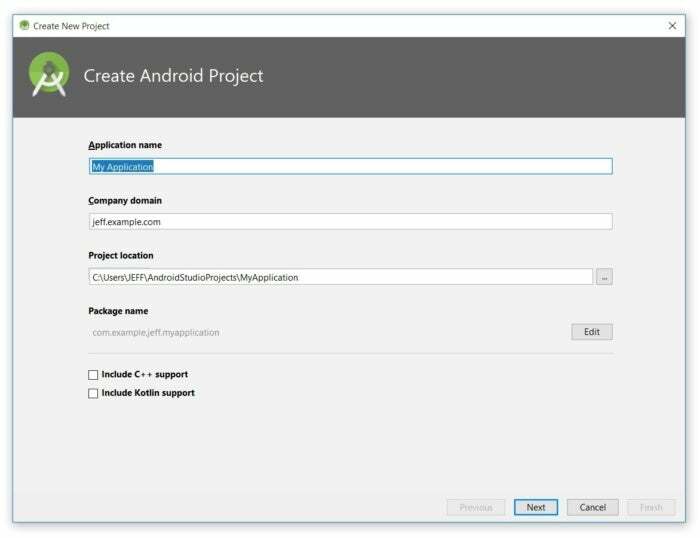 In Part 2, you'll code the app, learning how to use Android Studio to enter source code and resources into the project. 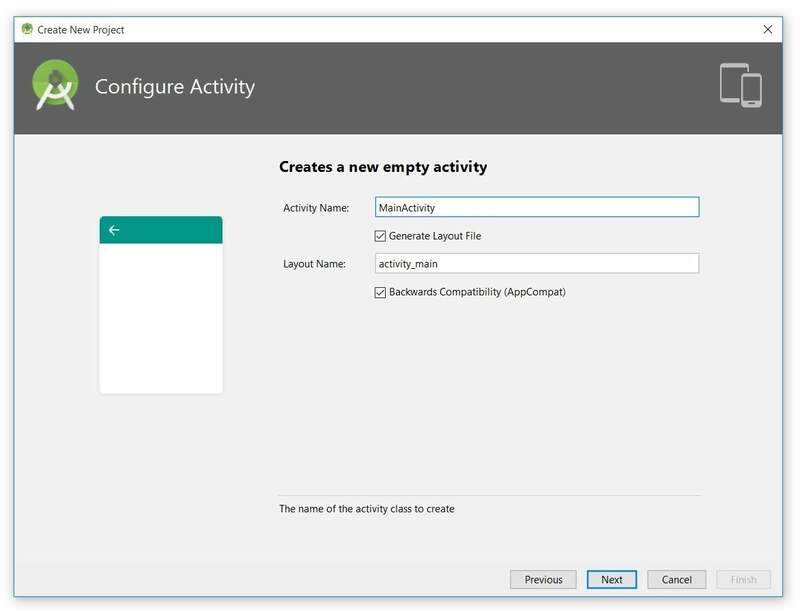 In Part 3, we'll build and run the app, using both an emulated hardware device and a Kindle Fire tablet. 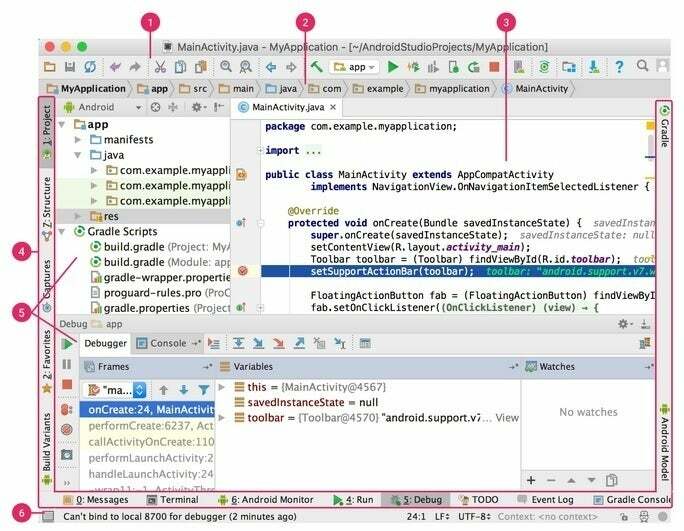 In Part 4, I'll show you how to use use built-in tools and plugins to debug Android and improve your coding productivity. Examples in this series are from the most stable version of Android at the time of this writing, Android 3.2.1. 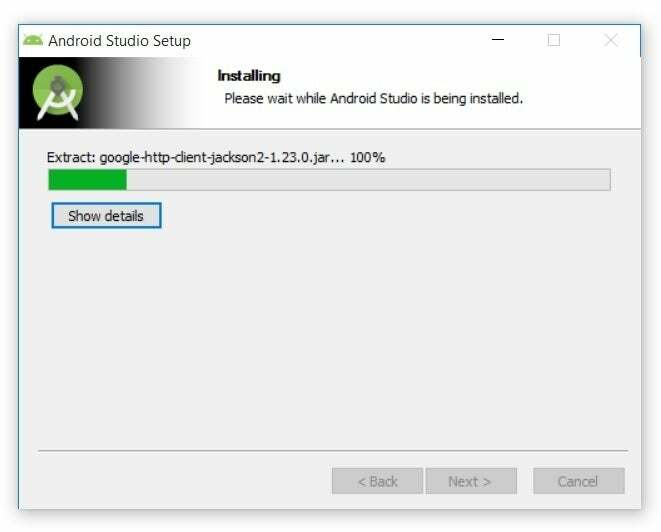 Once you've ensured that your operating system is compatible with Android Studio 3.2.1 or higher, download the appropriate Android Studio distribution file. The Android Studio download page auto-detected that I'm running a 64-bit Windows operating system and selected android-studio-ide-181.5056338-windows.exe (927 MB) for me to download. 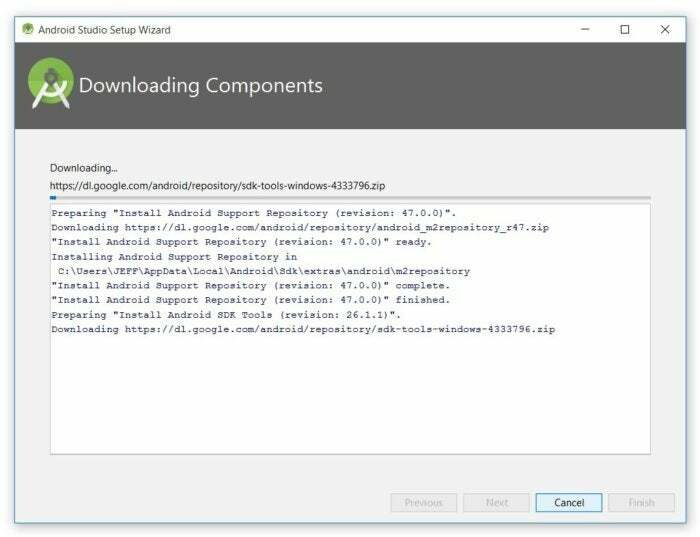 android-studio-ide-181.5056338-windows.exe includes an installer and the Android SDK command-line tools. If you don't need or want to use Android Studio, you can download only the Android SDK command-line tools. I launched android-studio-ide-181.5056338-windows.exe to start the installation process. 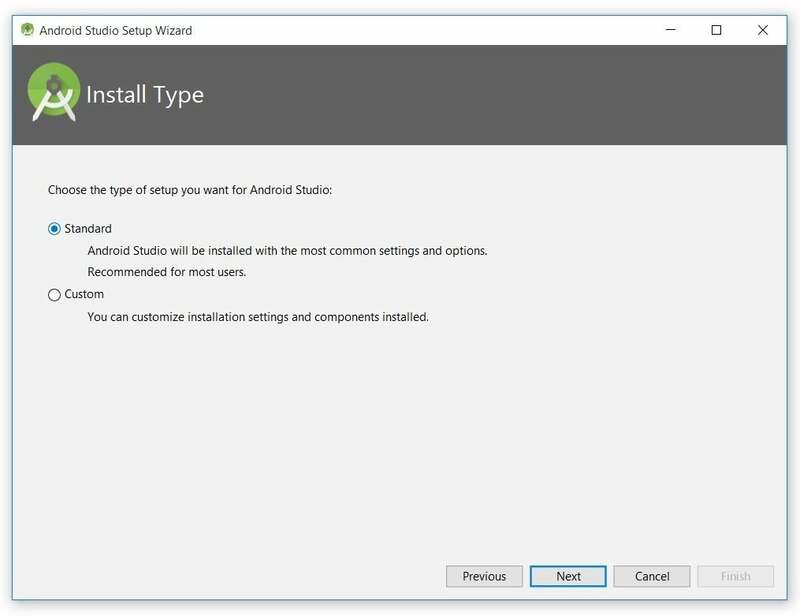 The installer responded by presenting the Android Studio Setup dialog box shown in Figure 1. 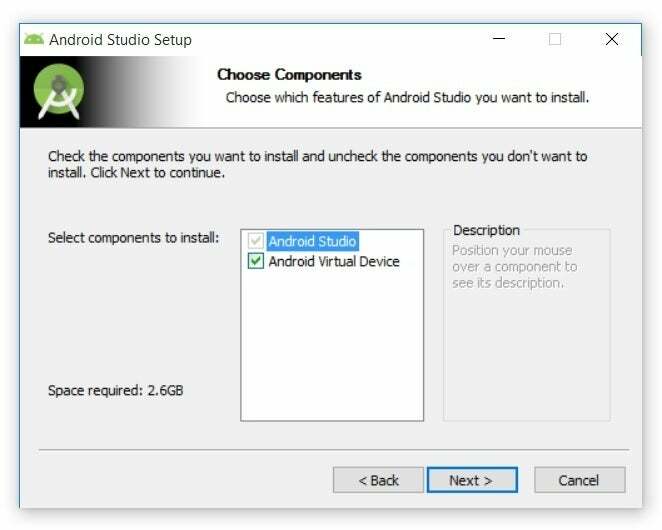 Clicking Next took me to the following panel, which provides the option to decline installing an Android Virtual Device (AVD). Figure 2. Install an Android AVD? I chose to keep the default settings. 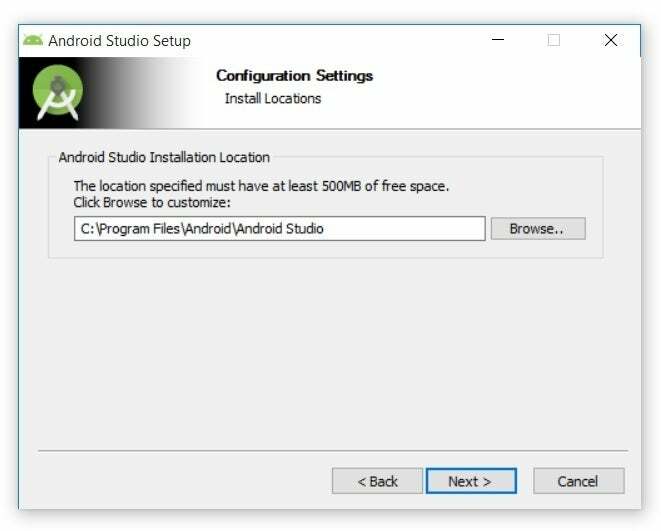 After clicking Next, I was taken to the Configuration Settings panel, where I was asked to choose where to install Android Studio. I kept the default installation location and clicked Next, and was greeted with the Choose Start Menu Folder panel. 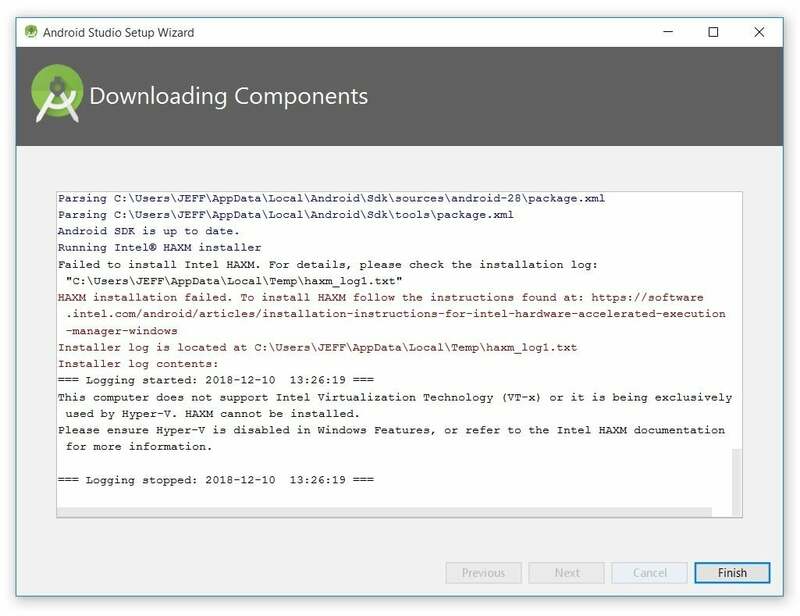 Clicking Show details causes the names of files being installed and other activities to be displayed. When installation finished, the Installation Complete panel appeared. 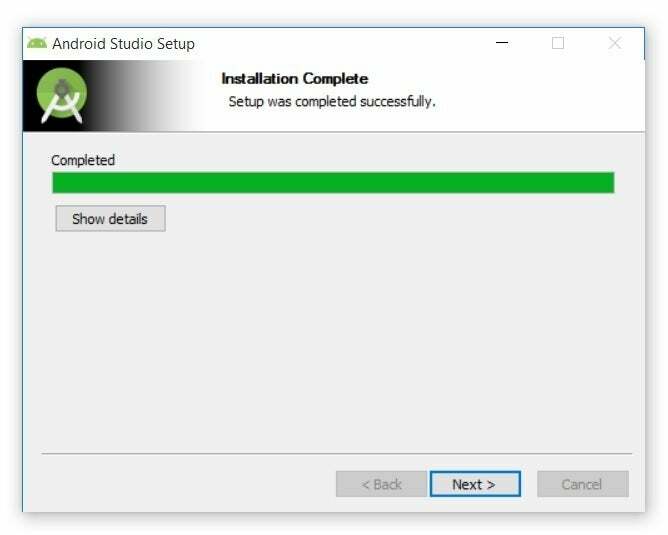 After clicking Next, the installer presented the Completing Android Studio Setup panel. 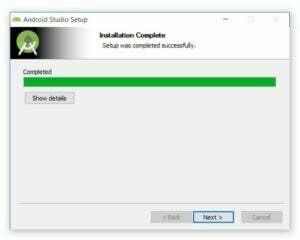 To complete the installation, I left the Start Android Studio box checked and clicked Finish. The first time Android Studio runs, it presents a Complete Installation dialog box that offers the option of importing settings from a previous installation. 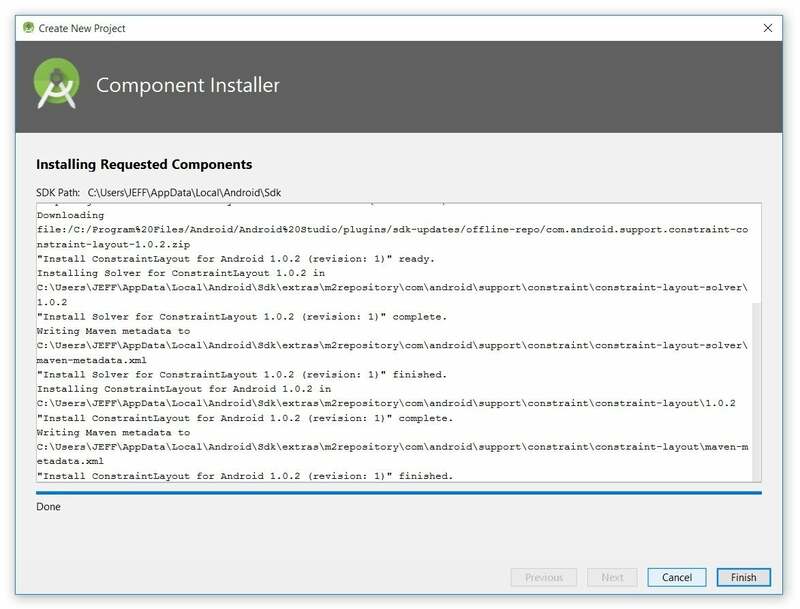 I also observed the following Finding Available SDK Components message box. I clicked Next, and the wizard invited me to select an installation type. I kept the default standard setting. 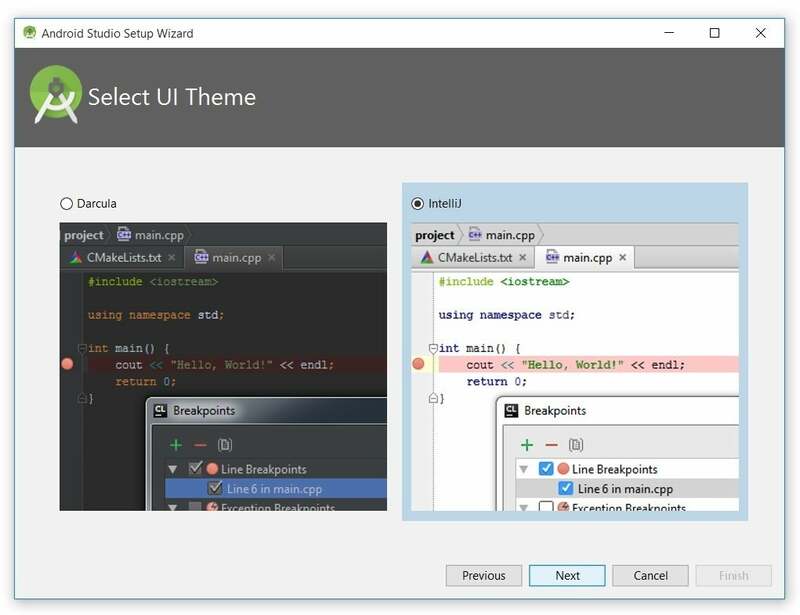 I was then given the opportunity to choose a user interface theme. I kept the default IntelliJ setting and clicked Next. 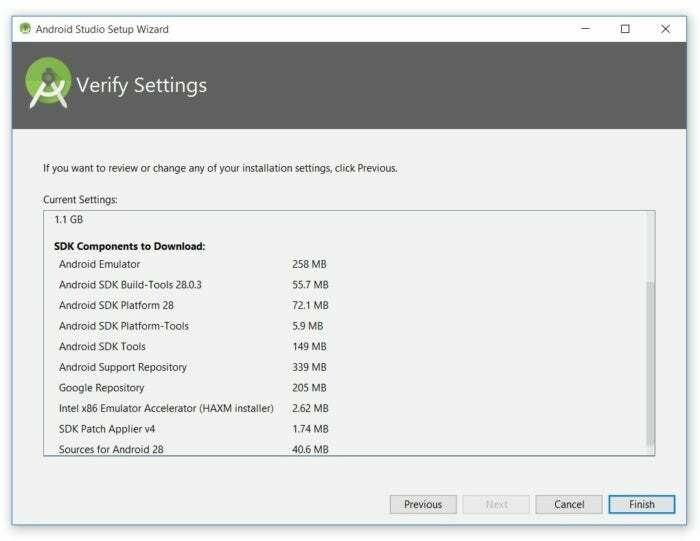 Android Studio next provided the opportunity to verify settings. 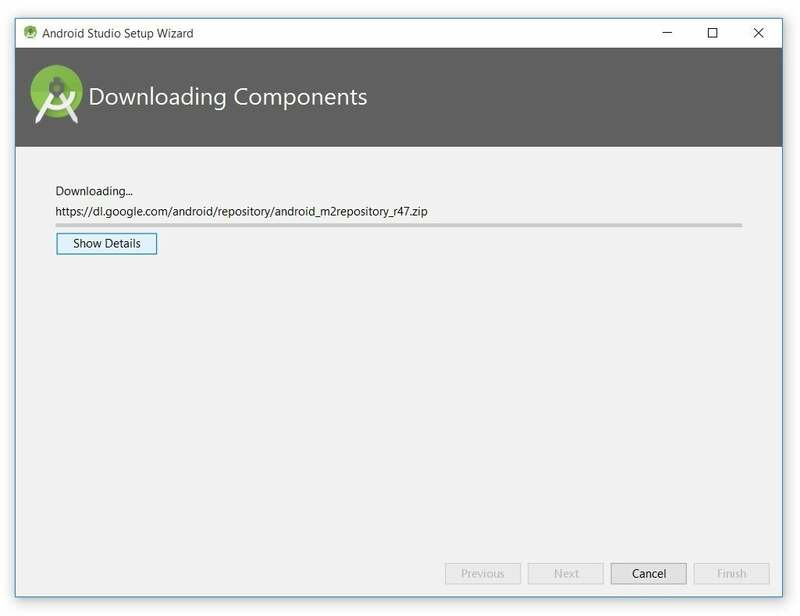 I clicked Finish and Android Studio began the process of downloading SDK components. It can take several minutes for this part of the setup to finish. Clicking Show Details might relieve some boredom by revealing the various files being downloaded and unzipped. 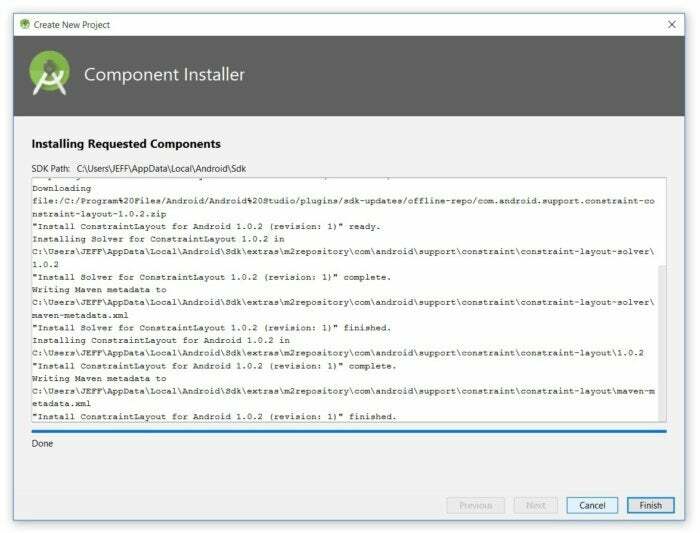 My options are to either put up with the slow emulator or use an Android device to speed up development. In Part 3 I'll show you how I resolved this issue. Finally, I clicked Finish to complete the wizard. The Welcome to Android Studio dialog box appeared. This dialog box is used to start up a new Android Studio project, work with an existing project, and more. 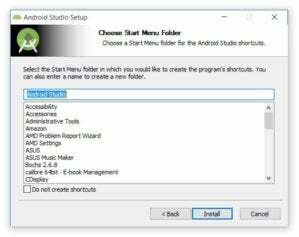 It can be accessed by selecting Android Studio from the Windows Start menu, or the equivalent on another platform. 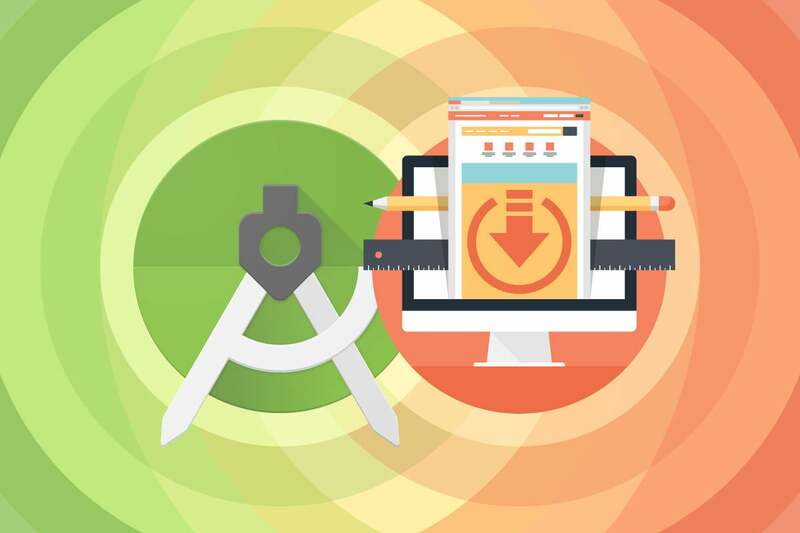 The quickest way to get to know Android Studio is to use it to develop an app. 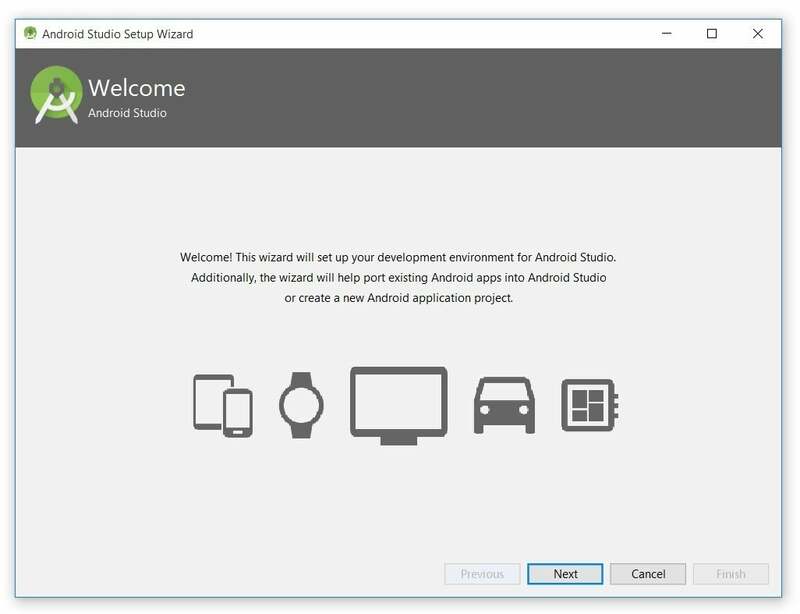 We'll start with a variation on the "Hello, World" application: a little mobile app that displays a "Welcome to Android" message. 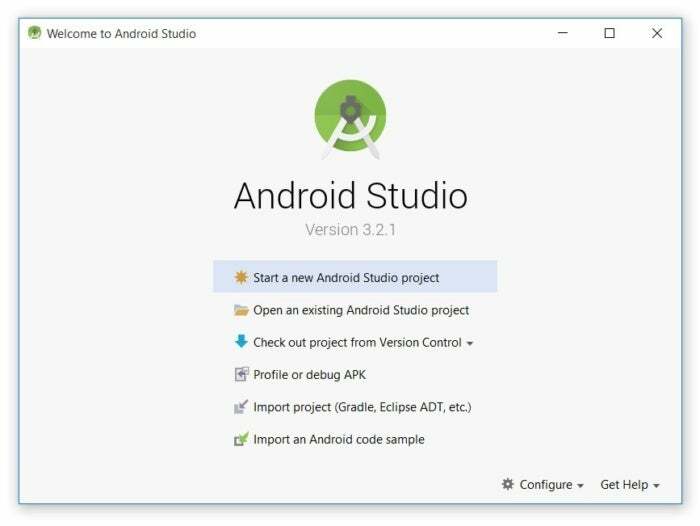 In the steps that follow, you'll start a new Android Studio project and get to know the main window, including the editor window that you'll use to code the app in Part 2. 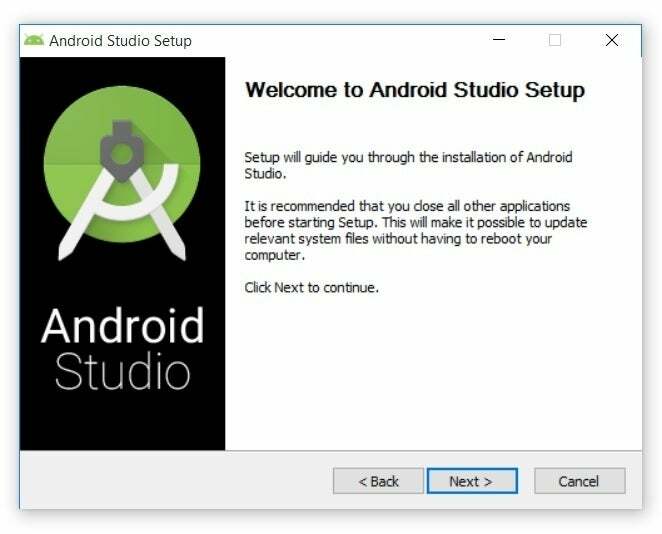 From our setup so far, you should still have Android Studio running with the Welcome to Android Studio dialog box. 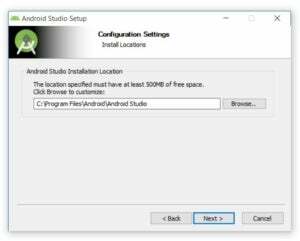 From here, click Start a new Android Studio project. 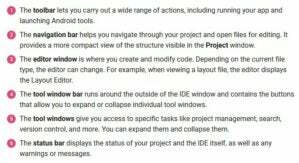 Android Studio will respond with the Create New Project dialog box shown in Figure 19. Enter W2A (Welcome to Android) as the application name and javajeff.ca as the company domain name. On my desktop, I observed C:\Users\JEFF\AndroidStudioProjects\W2A as the project location. Click Next to select your target devices. 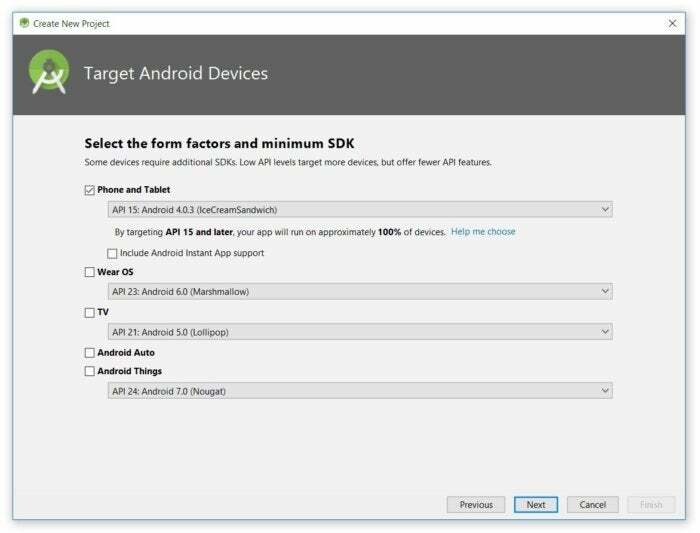 Android Studio lets you select form factors, or categories of target devices, for every app you create. I kept the default setting. Click Next, and you will be given the opportunity to choose a template for your app's main activity. For now we'll stick with Empty Activity. Select this template (if necessary) and click Next. Enter W2A as the activity name and main as the layout name, and click Next to complete this step. The next time you create an app for the chosen target device category, you'll probably discover that Next is disabled and Finish is enabled. Android Studio enables Finish after downloading the constraint layout files. 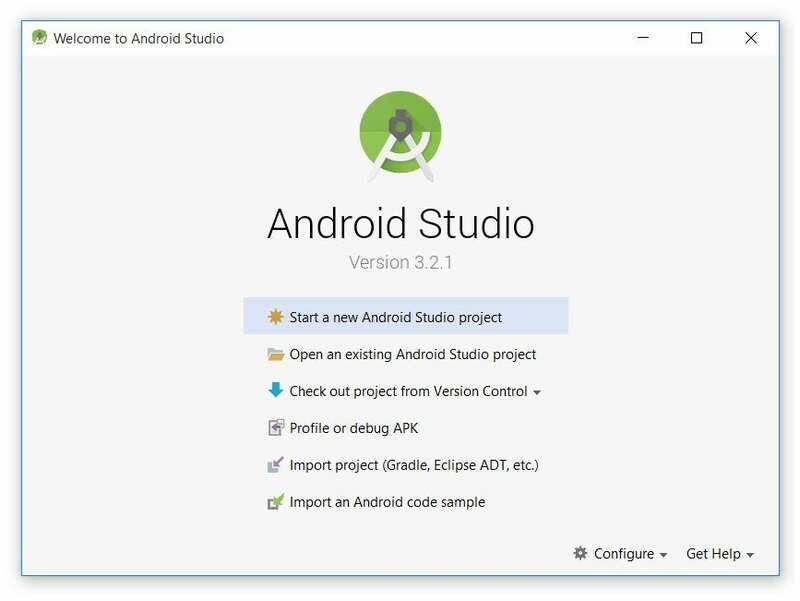 Click this button and Android Studio takes you to the main window. 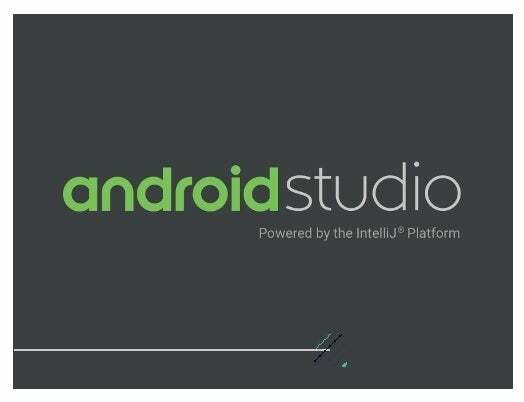 Check out the Meet Android Studio page to learn more about Android Studio's user interface. 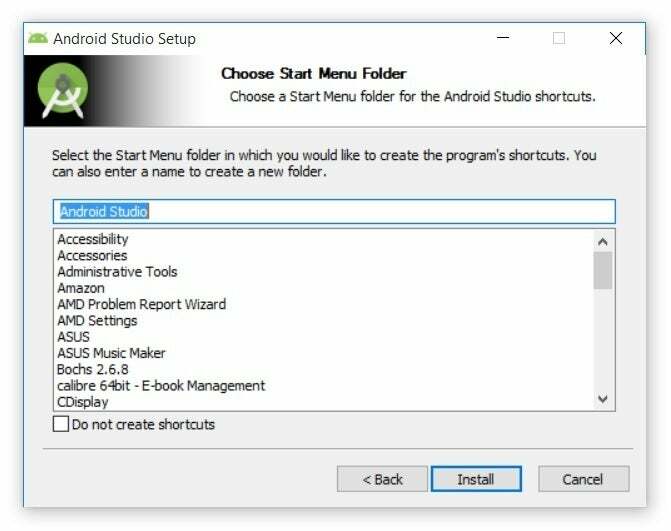 To access the traditional AVD Manager or SDK Manager, select AVD Manager or SDK Manager from Android Studio's Tools menu. 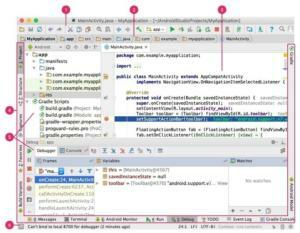 When you enter the main window (see Figure 24), you observe the Project window showing only app and Gradle Scripts. 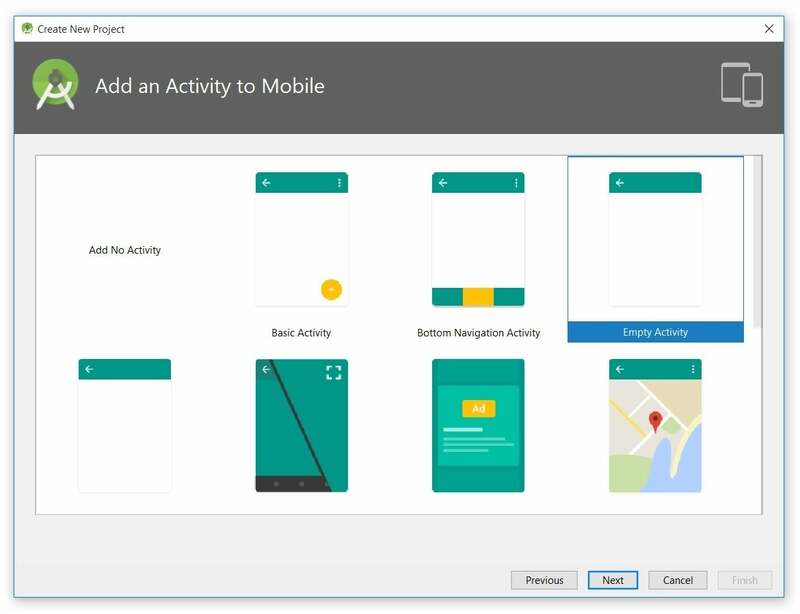 You'll have to expand the app branch of the project tree to observe more details.